The title of his biography immediately tells you something about the man. 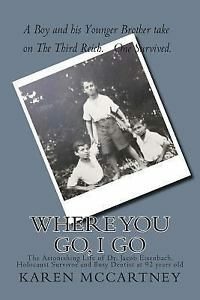 Where You Go, I Go: The Astonishing Life of Dr. Jacob Eisenbach, Holocaust Survivor and 92-year-old Full-Time Dentist reveals a man who is at once a product of one of humanity’s darkest hours, while at the same time a person who lives very much in the present. 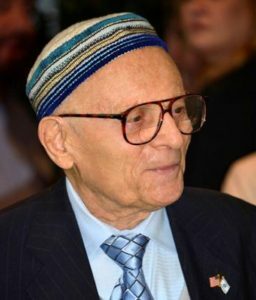 Dr. Eisenbach will be the special Yom Hashoah guest speaker at the 2017 Holocaust Remembrance on Sunday, April 23rd at 7 p.m. at the First Presbyterian Church in Cedar Rapids, Iowa. The event is sponsored by the David and Joan Thaler Holocaust Memorial Fund. See our events listings for other area speaking engagements. 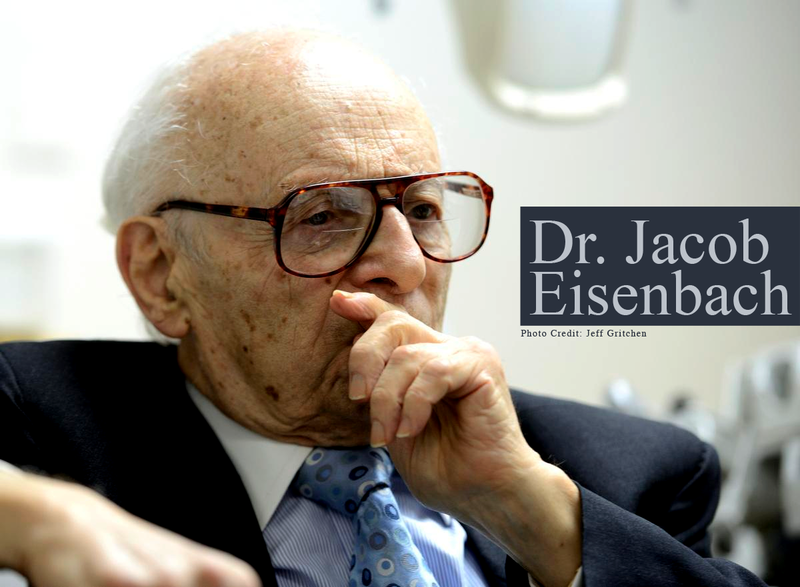 Jacob Eisenbach was born in Poland in 1923. Nicknamed “Kuba” by his father, Eisenbach grew up in a loving household with all of the hopes and dreams of any family… he was to be a doctor, his brother Sam, an author… his sister dreamed of a career as a pharmacist. That all changed when Hitler’s army invaded Poland in 1939. The Jewish ghetto in Eisenbach’s hometown of Lodz became a fenced prison camp. The family was torn apart. 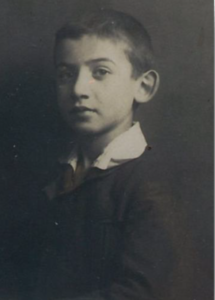 His mother died before the invasion, his father in a forced labor camp, his brother Henry at Auschwitz at age eleven. 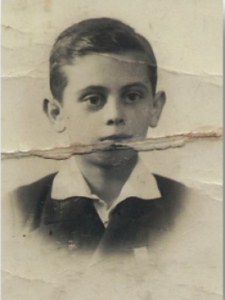 His sister was killed by machine gun fire in the city of Lwow, where Nazis killed over 100,000 jews in three days. Only Jacob and his brother Sam were left alive, hiding out and fending for themselves. Sam and Jacob were eventually captured and taken to a work camp in Skarzysko, Poland, where they were forced to work in a munition factory. They were later moved to a second munitions factory, where Jacob met a young woman, Irene, who was to become the love of his life. Amidst the horror and oppression, love bloomed. “I tell students, We have every reason to be angry. We have every reason to give up on humanity. But we cannot give up on humanity,” says Eisenbach. Sadly, Sam survived the war only to be murdered by an anti-Semite two years after the end of the war. No matter how dark the clouds may be, there will always be a day when the sun breaks through. Never lose hope for a better tomorrow. It has happened to me many times. Do not accept ideas of hatred, discrimination, and intolerance. It is those ideas that lead to the Holocaust, during which six million Jews died. Observe the Ten Commandments, which Moses received from God. Live by the American and Judeo-Christian philosophy of life. Do what you can to prevent and eliminate Genocide. 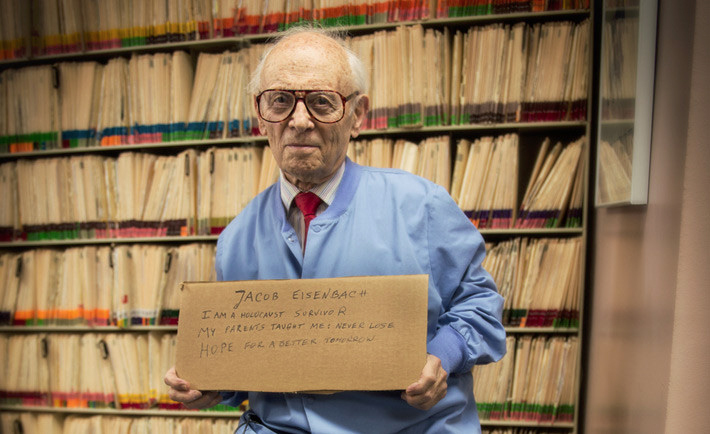 And he encourages readers to contact the United States Museum of the Holocaust at 202-488-0400.